that for the seventh day, there are seven black swans a swimming. This is a gorgeous set of stamps. I really like that each number has its own stamp. This is a really original stamp, love it! Beautiful and so much better than the 12 days shown on GB stamps years ago. Thanks for dating my Canadian stamps. Lovely sheet. 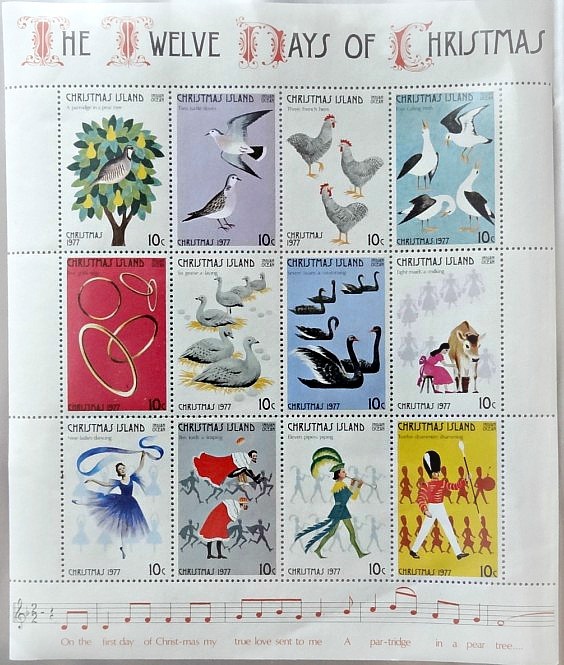 They have produced some great stamps over the years for Christmas.